Wedged between five African countries, the Republic of the Congo is an intriguing destination with a wealth of natural attractions and historical landmarks. It is populated by over 4 million people, and its enchanting rainforests and corroded towns are a delight for venturous travellers. 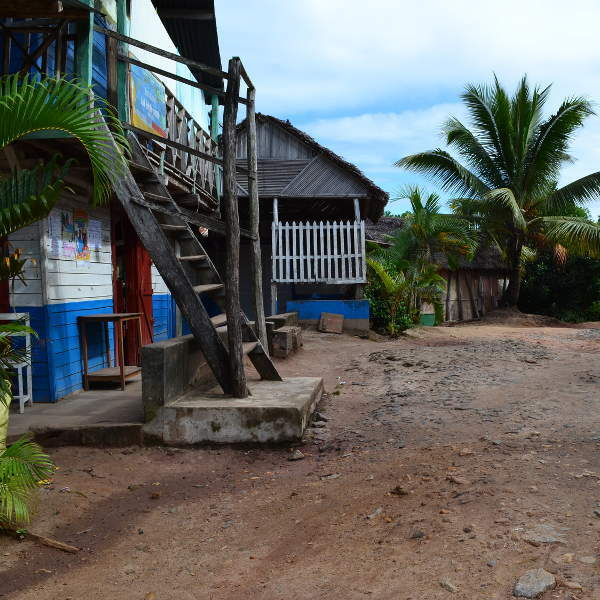 Popular attractions include Odzala-Kokoua National Park and Diosso Gorge outside Pointe Noir. Pack your hiking boots and beach hats because cheap flights to the Republic of the Congo are now available! The country’s hub airport is Maya-Maya Airport (BZV), a 5-minute drive from the centre of Brazzaville. 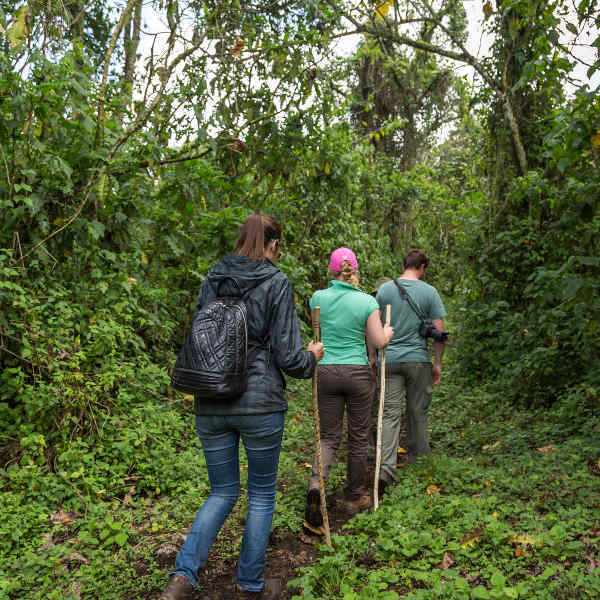 Come face-to-face with majestic gorillas as you trek through dense rainforests and conservation parks, stopping to observe them in their natural surroundings. This unforgettable experience will leave you in awe of these magnificent creatures. See the traces of Europe’s scramble for Africa in the remnants and architecture of colonial buildings such as Basilique St. Anne, Cathedrale du Sacre-Ceour de Brazzaville and the National Museum of Congo. Whether you’re into windsurfing off the beaches of Pointe Noire, canoeing through the beauty of the Congo River or overland tours through the rugged terrain, Congo’s landscapes are ideal for adventurous explorers! Congo experiences distinct wet and dry seasons in the northern and southern parts of the country. The short, dry season between January and February is ideal to visit the north. Rain showers set in between March and April, so any forest trekking during this time is not advisable. The best time to visit the southern region is from May to September when the long, dry spell makes outdoor activities and sightseeing more favourable. However, the north experiences heavy rainfall during this season. October to December sees the north drying up, whereas rain showers engulf the southern region. Most travellers to Congo look to visit the Odzala-Kokoua National Park when the best time for trekking and gorilla viewing is between May and December. With much to offer in the way of historical attractions, forest trekking, beaches and scenic landscapes, the Republic of the Congo (not to be confused with its sister-country, the DRC) is geared for the curious and adventurous traveller. 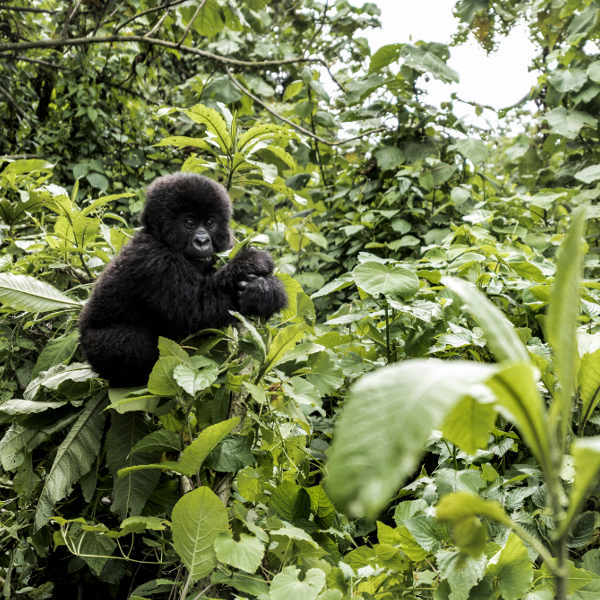 One of its main, unique attractions is gorilla trekking, where expert guides will lead you through the luscious forests and conservation parks inhabited by western lowland gorillas and other incredible wildlife. Explore the crystalline rivers and lakes and you may even spot some hippo, buffalo, exotic birds and monkeys as you kayak along the waterways. A few national parks beckoning to be explored are the Nouablé-Ndoki National Park (a UNESCO World Heritage Site) and the oldest, undiscovered gem – Odzala-Kokoua National Park. Brazzaville is the decaying, historic capital city, home to a vibrant arts and culture scene with intriguing French colonial buildings, churches and colourful markets creating a buzz in the city streets. The locals will welcome you into their humble culture and you’ll be treated to the tastiest dishes from around the globe at numerous low-key eateries. Dive into one of the pubs or late-night clubs and enjoy local instrumental sounds and traditional beats. Just west of Brazzaville, along the Congo River, you’ll find Les Rapides, magnificently wild waterfalls best observed with a cold beer in hand. Further out into the countryside, Loufoulakari Falls provides stunning panoramic views of the surrounding landscapes. Pointe Noire is the commercial hub and second-largest city of Congo. This lovely seaside city has prominent African and French influences and is a great place to explore undiscovered treasures. Enjoy the sugar-sand beaches where you can windsurf, hang-glide or simply relax under a palm tree with a sundowner. See chimpanzees in their natural habitat at the Jane Goodall Tchimpounga Chimpanzee Sanctuary and discover the red rock cliffs, jungles and breathtaking views of the Diosso Gorge. Compare several airlines, and book your cheap flights to Republic of the Congo today! All visitors to the Republic of Congo require proof of vaccination against Yellow Fever to enter the country. Other recommended vaccinations are for hepatitis A and typhoid, as you may be exposed to contaminated food and drink. Stick to drinking bottled water and ensure you stay well-hydrated. Malaria is prevalent throughout the country so taking medication before, during and after your trip is strongly recommended. If you plan on spending a considerable amount of time outdoors, consider getting a rabies vaccination. Congo does not have a great healthcare system and medical supplies are limited. It is advisable to bring your own medical kit with basic supplies. Walking around by day is generally fine, but as night falls it is best to take a taxi to get around. Stay alert and be vigilant with belongings and general safety. Congo does come from a history of conflict, so stay abreast of current affairs and avoid areas that may spark unrest. While the atmosphere in Congo is fairly relaxed, refrain from taking photographs of military personnel or police.